This week was extra busy for us. I (Heather) worked for the past couple of weeks to complete upholstering this sectional, and Chris worked on many wood working projects. We didn't squeeze in too many estate sales or thrift finds, but we did make it out to the flea market. 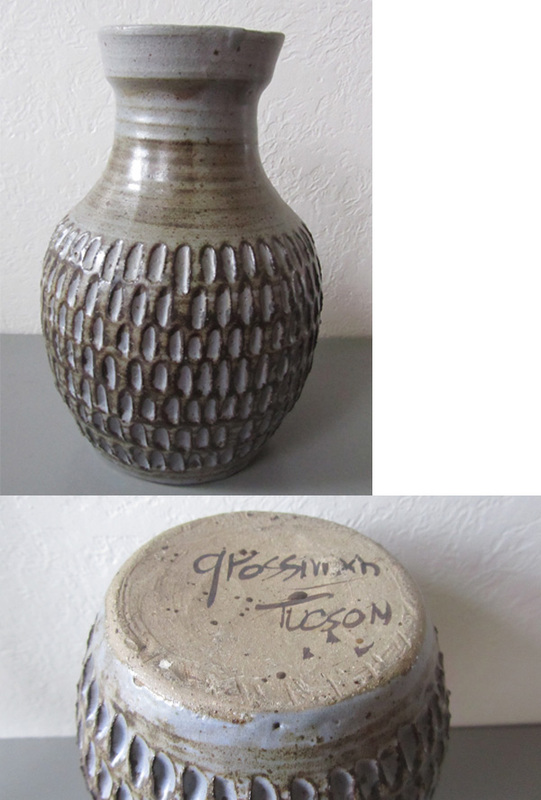 We found this beautiful pottery piece by Maurice K. Grossman. I love the detail work! 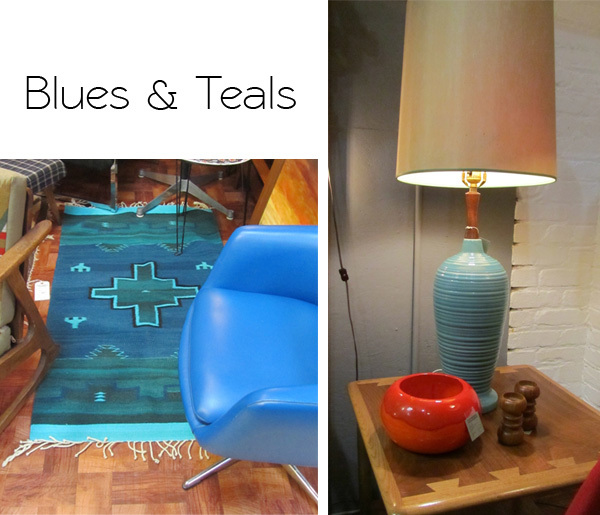 We also found this blue and teal Mexican rug. The condition and colors were too good to pass up. Also, we found a pair of these amazing turquoise lamps. I debated holding on to them, but we have quite a few lamps around the house. I'm sure whoever buys them, will love them too! Yes, so sorry! We had a few difficulties, but fixed it all. It's posted now. Thanks so much for linking up with us!! Love that piece of pottery from Tucson! And those lamps are lovely. Going to try and link up my blog post today. Cheers! Thanks for your comment and linking up! You made some wonderful fints as well. LOVE that pottery piece. And the lamps, what a gorgeous shade of blue! I wouldn't be able to part with them! The lamps and the rug are fabulous! Thanks for hosting!